In place of the usual Friday Favorites, today I’ll be talking about one of my favorite activities – cleaning my closet. It does sound a bit odd that one of my favorite activities is cleaning but cleaning out the closet always lead me to new discoveries of pieces I already own and forgotten; I’m also a bit OCD at times and an unorganized closet really bothers me. Since it is April already, it’s really time for a bit of spring cleaning. 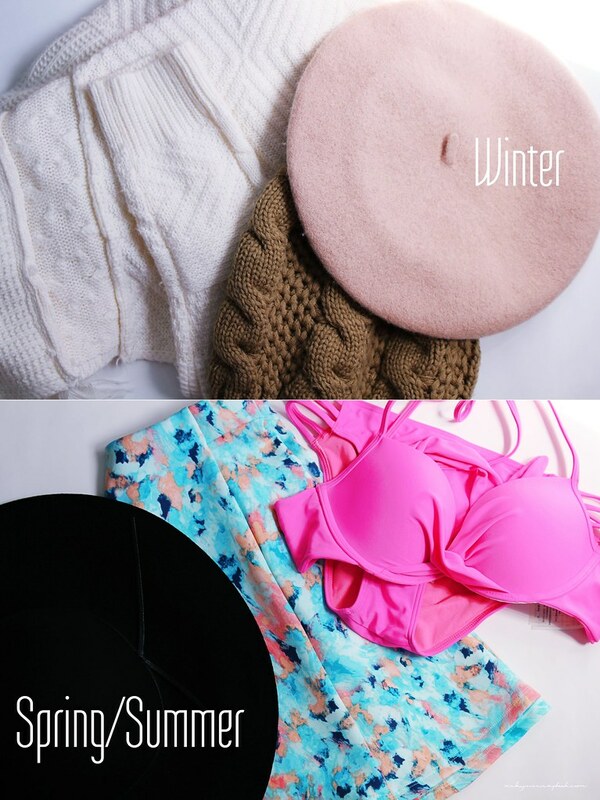 Since it is the spring now, I tend to put away all the winter clothes and accessories and swap it for clothing more fit for the warmer season. I like to stack the winter clothes into large storage boxes that hide away in my closet until the next winter season. A lot of the thinner sweaters, long sleeves and cardigans, I would keep out so I could wear it when I’m in the office, which is winter all year around in there. The clothes that I feel are very worn out, I would see if I could wear those at home or to sleep; I find that old hoodies make really comfy pajamas. 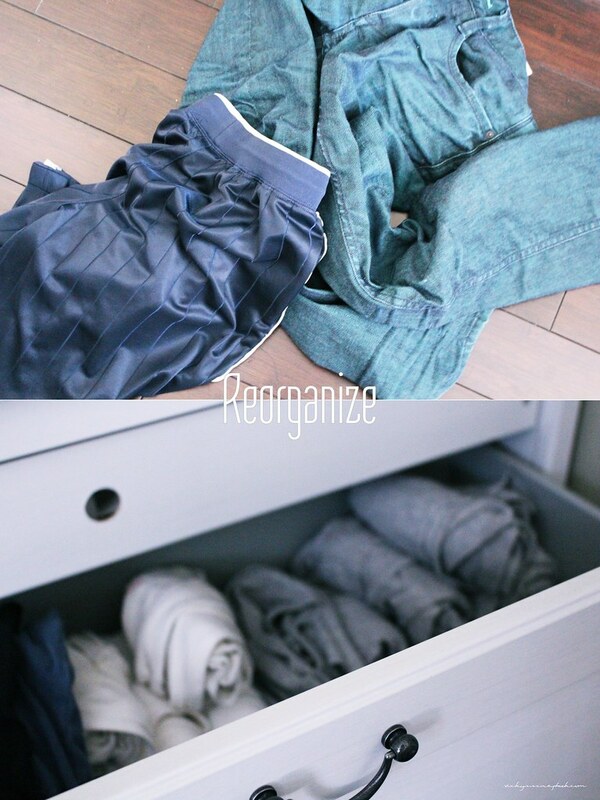 The ones with rips and tears (particularly socks, and underwear) will most likely have to be tossed out. I don’t know about you but I have quite a few pieces that I bought on whim over the last fall and winter season; some of them still even have tags! My mom tends to add to this pile since she likes to go shopping for the whole family but a lot of clothing she chooses don’t fit my style (and we forget to return/exchange them). For these pieces, I try to see if I could repurpose them or use them for my DIY projects. If the clothes don’t fit into the ones to be tossed out, worn at home, or repurposed, I put them into another pile for donating. While I’m at it, I have a lot of makeup and skincare products that I have to sort through. I didn’t know this a few years ago but makeup does expire. So I like to go through them once in a while and toss out the expired ones to make room for new products. 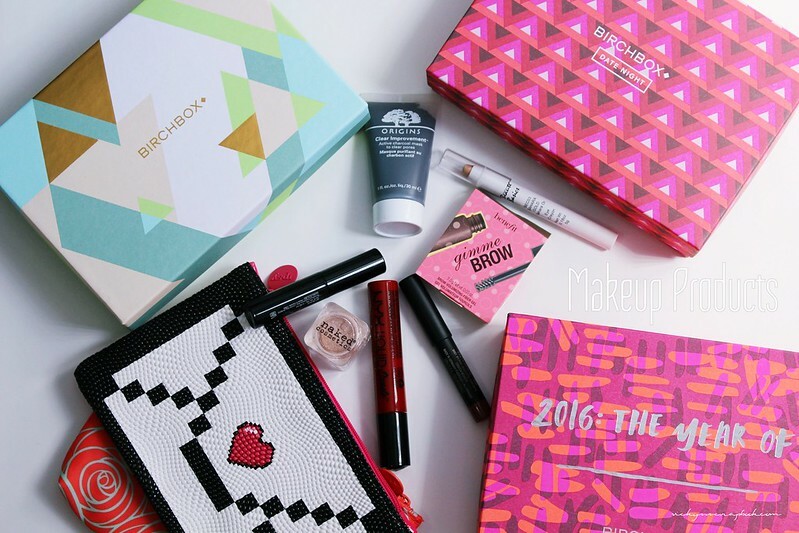 This year, I also have a lot of products from subscription boxes (Ipsy and Birchbox). The samples that I don’t believe I’ll be using again I store those separately and toss out the ones that are too old or went bad. Don’t forget the guys in your life too! Guys tend to hoard out-of-date styles and tattered underwear, which they actually keep wearing. My BF is actually quite a fashionista compared to other guys so I don’t have too much of a problem with his wardrobe. If I did though, I would suggest throwing out/ donating the out of date styles and go shopping for stylish clothes and underwear. Some of the worn out clothing could be used at home. I don’t know if it’s just me but I like wearing his old oversized hoodies and t-shirts to sleep (more pjs for me!). A lot of times, I find that some of his clothing (or most of it) is on the floor and not in the closet. Reorganizing those clothes (after washing them) and putting them away makes a huge difference; slipping on dirty boxers is not fun. Now that we sorted through and reorganized the closet, it’s time to shop for some new styles. 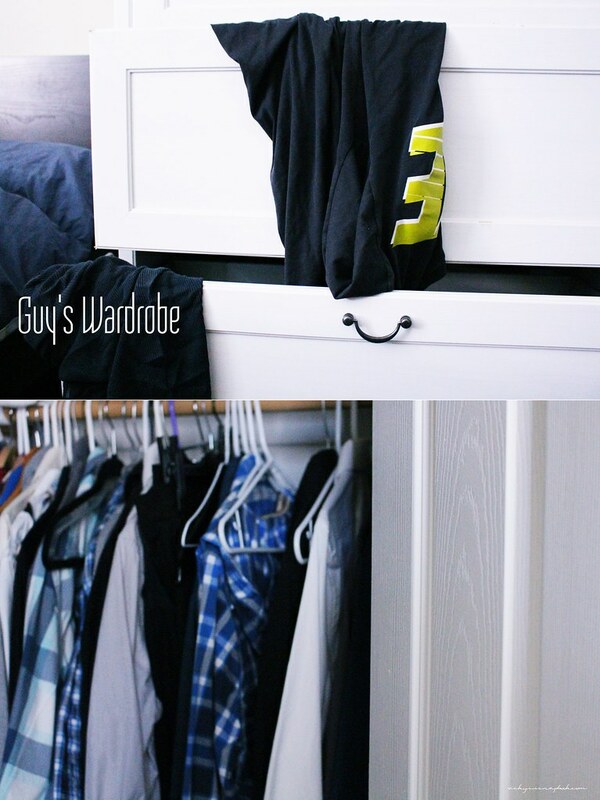 How do you like to sort through your closet? Aww no! Zip up hoodies/jackets are never worn out 😦 they are just one of my fave outfits! Hahaha yea, that’s how I feel too 😛 My closet is only clean right after I clean it lol! It feels like a workout because it is as if one is mentally purging as well as physically decluttering one’s life. I have the same feeling – a sense of achievement when I clean out my closet and give all my unworn/old clothes to charity. Some still have the shop tags on them!!!! Some still have shopping tags on them ? That’s intriguing. How does that happen ? always nice to purse and reorganize stuff, eh? “It does sound a bit odd that one of my favorite activities is cleaning but cleaning out the closet always lead me to new discoveries of pieces I already own and forgotten”. It’s interesting how this happens. There’s so much stuff that comes in and out of our lives and they usually just accumulate and we forget we had them in the first place.Have you read Marie Kondo , the art of decluttering ? Yes. Great book, lots to learn! I’ve been very slowly trying to reorganize everything in my room, starting with my closet. I also read Marie Kondo’s book and it’s helped somewhat, but I need to be more proactive about getting rid of the old stuff to make more space. I tend to forget what’s already in there sometimes too lol. Thank you for stopping by!